A new government document describes New Zealand’s short and longer term defense ambitions. 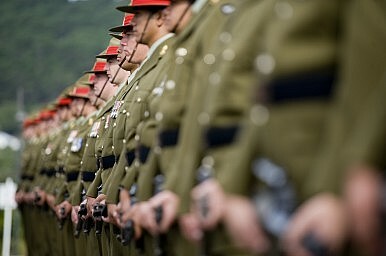 On Tuesday, New Zealand released its new Defense Capability Plan (DCP). The document outlines the country’s broad strategic priorities on defense matters. New Zealand Defense Minister Jonathan Coleman notes that the 2014 DCP reflects well on the New Zealand Defense Force’s (NZDF) capabilities. The 2014 DCP is a follow up to the 2011 document. “The 2014 Defence Capability Plan describes the new equipment and assets that the NZDF will purchase over the next decade. It resets capability and investment priorities, and focuses on the NZDF’s ability to deliver joint operations, and grow combat and support capabilities,” noted Coleman. being prepared to respond to sudden shifts and other disjunctions in the strategic environment.